For most of us we think it is simply the love between two human beings, love of a partner, a husband, wife, child or friend but unconditional love is actually much more than that, it transpires the relationship between two human beings into the realms of love that are sadly missing from our daily lives, our relationships between religions, our relationships between countries, our relationships between race, colour and creed. Most of the conflicts in our relationships arise because of our greed, our desires and our expectations, and, when both parties are selfish and self-centered, they do not remain in a relationship for long as the suffering becomes greater, distance comes about until total separation is the end result. The ideal relationship is that which is based upon mutual unconditional love and respect. It is as difficult as finding an ideal saintly human being upon earth. We cannot practice it if we have desires and expectations and if we are guided by fear, egoism, greed and self-interest. We may study scriptures and participate in intellectual debates, but it will serve no purpose if we do not have a loving heart. We may judge others based on the religious morality we learn. But it is of no use in our own spiritual development, if we do not follow it ourselves and validate it based upon our own experience. Religious dogma is not meant to develop a blind following, but rather a deep curiosity to search for truth. Unconditional love or our infinite innate capacity to love others unconditionally, can take us beyond the mortal plane into the realm of the immortal gods. When you go beyond desire-ridden judgments and selfish expectations and accept people and things with love and compassion, you earned the right to reach the abode of God. When you do not act with moral superiority and religious prejudice, you become a source of love and healing to others. As human beings, we all have our weaknesses. We are incapable of exhibiting the virtuous qualities of God in our ordinary selves. However, our weaknesses and imperfections can be overcome if we strive to transcend our lower nature with abundant faith and love in God and cultivate the single most important virtue of unconditional love. Unconditional love can arise only in a mind that is truly detached, that has no preference and is established in equanimity and oneness. Therefore, bring love into your life and radiate it unconditionally, like a flower radiates its fragrance, by cultivating detachment and equanimity of the mind. Accept everything that comes into your life as part of your divine creation and as a part of your destiny. Build relationships not for mutual satisfaction of wants and desires, but for the sake of unconditional love, without expecting anything in return. First, practice it towards those whom you may harbor negativity and resentment of those whom you find difficult to forgive. Learn to forgive them and let go of your feelings of hurt and indignation. Then gradually spread the same attitude towards one and all. As part of your practice, you should radiate your love in your daily life towards one and all, and try to be forgiving and helpful. If you start practicing these suggestions, slowly you develop a compassionate heart, which will open the doors of God’s unconditional love to you. If you look carefully, most things in creation already practice unconditional love. It is usually humans who have difficulty in practicing it because we are the subjects of freewill, desires and attachment. A tree does not choose whom to give its fruit. It is we who build a fence around it. A well does not choose whom to give water. A river does not choose whose boat it will carry. A flower does not choose to whom it will spread its fragrance. The sun and moon do not choose to whom to radiate their warmth and light. God’s unconditional love manifests when we silence our desires and suspend our judgment. Both are difficult to practice. When they are absent, God’s love manifests itself. It is in the silent heart of a Buddhist Monk, an Ascetic Yogi, Priest, Pastor, Cleric, Brahman, holy person that the unconditional love wells up. The only way love can last a lifetime is if it’s unconditional. The truth is this: love is not determined by the one being loved but rather by the one choosing to love. Love is the doorway through which the human soul passes from selfishness to service. Love is life…and if you miss love, you miss life. Universal love gives without expecting anything back. These is only one love that loves unconditionally-The love of the Divine. Love is patient, love is kind, love is not envious or boastful or arrogant or rude. It does not insist on it’s own way, it is not irritable or resentful, it does not rejoice in wrongdoing, but rejoices in the truth. It bears all things, believes all things, hopes all things, endures all things. The greatest gift you can give to others is the gift of unconditional love and acceptance. 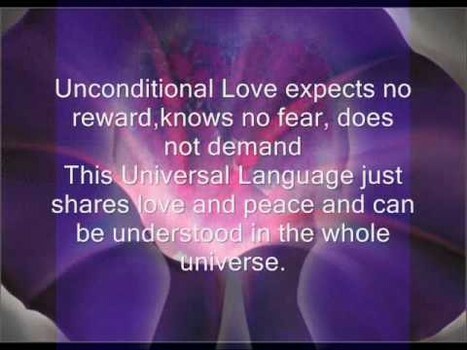 Go with unconditional love my friends, be the love and share the love with all beings. Mark your post is a reminder to us all, And I hope those who read will see it is how each of us walk our path in life… that affects another around us.. May we learn and quickly that love is All powerful and can change the world to bring about Peace.. But each of us need to start and practice it.. I hope we each take steps to stop judging and live in harmony with one another..
Well written, Mark; the post says all that needs to be said..